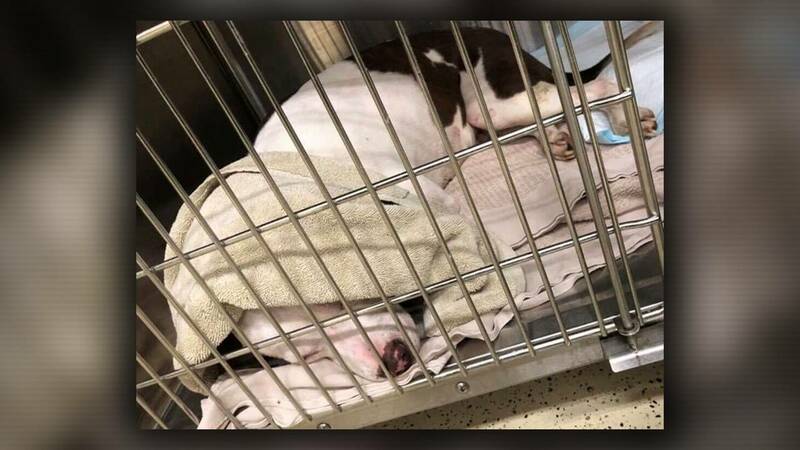 CYPRESS, Texas - A 2-year-old dog named Karma is still fighting for her life after she was found in a dumpster. The people who found her said she was in terrible shape and appeared to have two bullet holes in her head. Whoever left her in the dumpster left her there to die. "She had a laceration on her head and she was bleeding a lot. She had other marks. I just couldn't believe someone left her there to die," Ashley Gurka said. 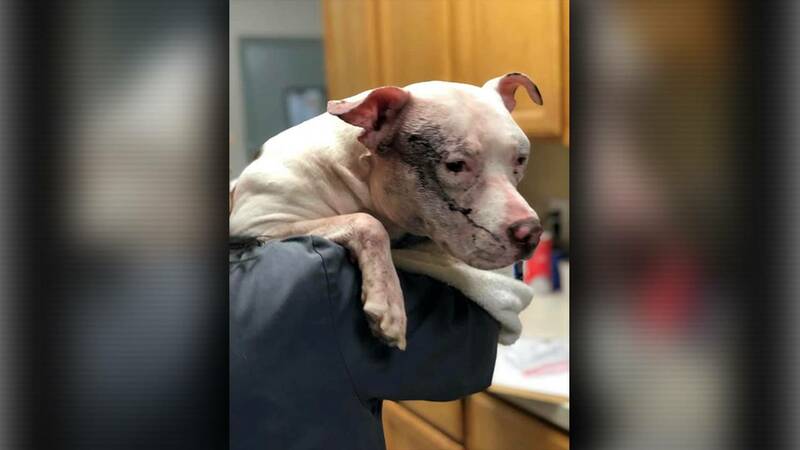 Gurka was throwing out her garbage Saturday afternoon when she found Karma whimpering in the dumpster with severe head injuries. "I just got in. I just wanted to see if she was OK. She looked really weak. If she died, then at least someone was in there, and she wasn't dying in trash," Gurka said. Gurka and her girlfriend, Jessica, both animal lovers, finally got in touch with A Chance to Bloom Dog Rescue. The group picked up Karma and rushed her to the emergency room. She was taken to a neurologist at Texas A&M University on Monday morning. The rescue group said Karma is still not out of the woods. The group said she is being fed through a tube, she may lose her left eye and she may have sustained serious brain damage. Doctors said only time will tell if she will make a full recovery. "That's animal cruelty. They don't have the right to do that. They need to pay for this. There needs to be justice," Gurka said. Rescuers said Karma is tough, and even though she was tortured, she still wags her tail when they get close. A $1,000 reward is being offered for information about who left the dog in the dumpster. Anyone with information is asked to call Harris County Precinct 5. An account was started to help with Karma's medical bills. Click here to donate. Also, A Chance to Bloom is accepting donations thorugh Venmo (@achancetobloom).